The contractor constructing Metro’s Silver Line says it is ready to submit for “substantial completion” of the project again — which could come as soon as Wednesday. Wednesday also happens to be April 9, the day Reston-based Bechtel Corporation and subsidiary Dulles Transit Partners would have to start paying fines of $25,000 a day until the job is done. Bechtel Corporation says it is waiting for results late Tuesday then will determine if it will submit Wednesday. “We are very pleased with the progress and moving the Silver Line one step closer to full operation,” Bechtel officials said in a statement. 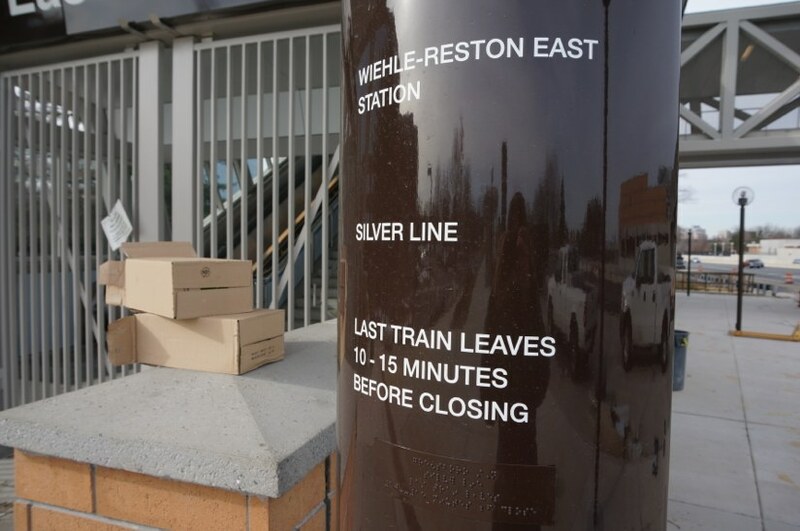 Dulles Transit Partners originally said on Feb. 7 that substantial completion on the $2.7 billion rail extension from East Falls Church to Reston’s Wiehle Avenue had been reached. Substantial completion is the point at which they feel their job is done and ready to be turned over to Metro. Metro would then have a 90-day period to conduct its own testing. However, part of the handoff involves Metropolitan Washington Airports Authority conducting its own checklist, and in late February MWAA found issues in 7 of 12 areas, ranging from leaks to problems with the automatic train control system. It was revealed at a recent MWAA Board meeting that speakers in all five stations have to be reinstalled, and there is a cable issue in the Tysons tunnel. According to DTP’s contract, the work is not finished starting April 10, DTP faces a $25,000-a-day penalty until the work is done. If the project is not completed 92 days after that April date, the contractor would have to pay roughly $2.3 million in fines, plus an additional $75,000 a day. Ultimately, if the project is delayed more than six months from that April date, DTP could be required to pay more than $9 million total. Under the terms of the contract, the payments are capped at $60 million. “Our goal is to have this wrapped up by April 9, before fines set in,” MWAA President and CEO Jack Potter said March 19. Former Congressman Tom Davis, a MWAA board member, told WUSA9-TV that the most important thing is that the rail line is 100 percent safe and ready to go before opening. But Davis also said if DTP has to pay fines, it could benefit the transportation system. 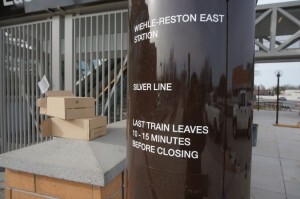 While a opening date for the Silver Line was never set, officials had hoped to finish testing last September for a possible December opening. But delays were announced last summer, then in November when the tracking system issues were discovered. After the March setback, officials are no longer estimated when the turnover may be as DTP works to correct the problems. However, a source told WTOP last week that the Silver Line may open by July 4.